Move over, Gear Live and G Watch, the Android Wear space is about to get a lot more crowded. 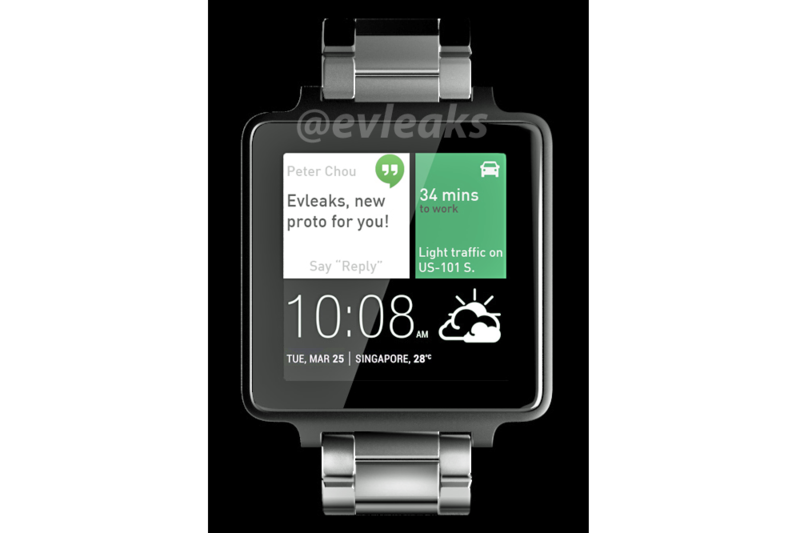 Rumors suggested HTC was prepping an Android Wear device of its own, and a rendering tweeted by @evleaks confirms it. Ignoring the obviously mocked-up UI, one thing you’ll immediately notice about the smartwatch is its conventional shape: it’s a square. That’s not to say the device is inherently ugly – the positioning of the watchband clasp is, in my opinion, a huge stylistic improvement over the Gear Live and G Watch – but folks hoping for more Android Wear watches with circular displays will surely be disappointed. It’s impossible to confirm right now, but watchbands are presumably interchangeable. Should the metal band pictured not suit your fancy, you should be able to attach whichever 22mm material you like. People on the fence, does HTC’s watch change your mind about Android Wear?